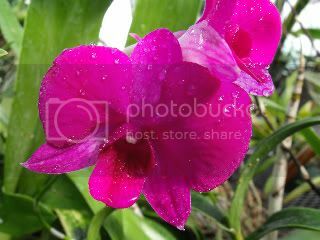 When I think of a Dendrobium, Dendrobium phalaenopsis is the one I picture first. The species name “phalaenopsis” should not be confused with the genus Phalaenopsis, which is an entirely different orchid, though the flowers do have a similar appearance. D. phalaenopsis are sympodial orchids, meaning that their new growth extends laterally instead of apically, or, from the side rather than the top. The plant can be described as having canes with leaves situated alternately, and the flowers are sent out on spikes from the tops of the canes. Flowers can be white, yellow, pale green, pink or purple and are sometimes a combination of two or more of those. These exotic-looking plants love lots of light, but light that is never too intense. They do wonderfully in an eastern window where they can catch the morning sun, or in a southern window if they are provided with some protection from the strongest light at midday. Remember that the light is far more intense nearer to the equator and in the long days of summer; adjust accordingly. Watering D. phalaenopsis requires a little more care than a typical houseplant. They should be watered year round, when the potting mix is dry all the way through. I personally prefer horticultural charcoal for dendrobiums, though you may have better luck with another type of potting media. Water soluble fertilizer should be used regularly, but allow at least one watering with plain water in between each fertilization. Propagation of D. phalaenopsis can be somewhat difficult or very easy, depending on what your goal is. Plants can be easily divided when you re-pot them, though this should only be done as necessary to avoid extensive stress to the plant and trauma to the root system. The more difficult method would be propagation from seed. Orchid seeds contain no nutrition to help them get established and so must be sown on agar or something similar in sterile flasks. Orchids grown from seed take an incredible amount of time to get established and so that method is typically only done when trying to obtain a new variety. The most common insect pests you'll encounter with Dendrobium phalenopsis are scale and mealy bugs. I like to deal with these using a horticultural oil, such as Volck Oil Spray. 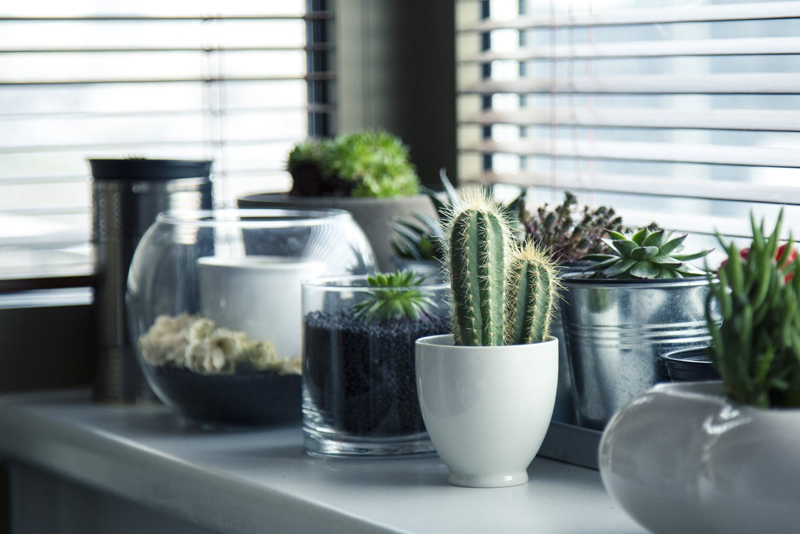 You may end up needing to wash the plant by hand if an infestation occurs, but regular observation of the plant and immediate removal of any unwanted guests is typically enough. Content copyright © 2018 by Lisa Beth Voldeck. All rights reserved. This content was written by Lisa Beth Voldeck. If you wish to use this content in any manner, you need written permission. Contact BellaOnline Administration for details.